Update: Benchlife has posted an update on the GeForce GTX 950 SE. According to them, the GeForce GTX 950 SE would simply be called the GeForce GTX 950. 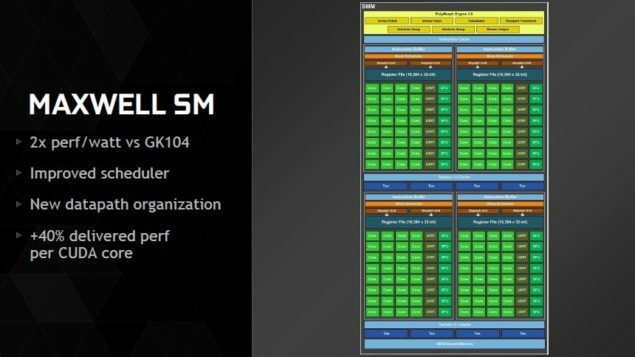 The new card will allegedly be based on the GM206-251 core which is the same chip as the GeForce GTX 950 which could indicate that no cores were disabled as predicted. The card will come in variants that don’t have a 6-Pin power connectors but AIBs will be willing to put those on custom models. This variant will be priced a bit lower than the GeForce GTX 950 but having the same name will lead to some confusion among the buyers. 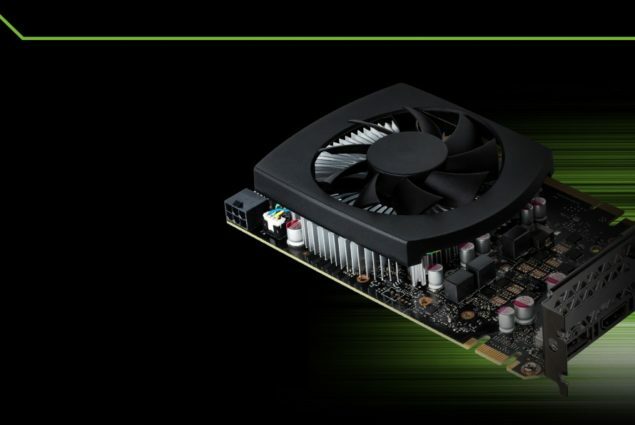 NVIDIA is rumored to be preparing the new GeForce GTX 950 SE graphics card based on their Maxwell GM206 chip. The rumor comes from Videocardz (via hwbattle) where it has been alleged that NVIDIA would launch the Maxwell based GeForce GTX 950 SE as soon as next month and will be replacing the GeForce GTX 750 Ti which currently retails for $120 US. The NVIDIA GeForce GTX 950 launched back in August for a price of $159 US. The card featured a Maxwell GPU (GM206) and was considered a decent option for 1080P gamers given its low price. Below the GeForce GTX 950 which makes up the sub-$150 US market, NVIDIA had two cards, the GeForce GTX 750 and the GTX 750 Ti. Both cards utilize the older GM107 core architecture which doesn’t include most of the features available on the 2nd generation Maxwell core. 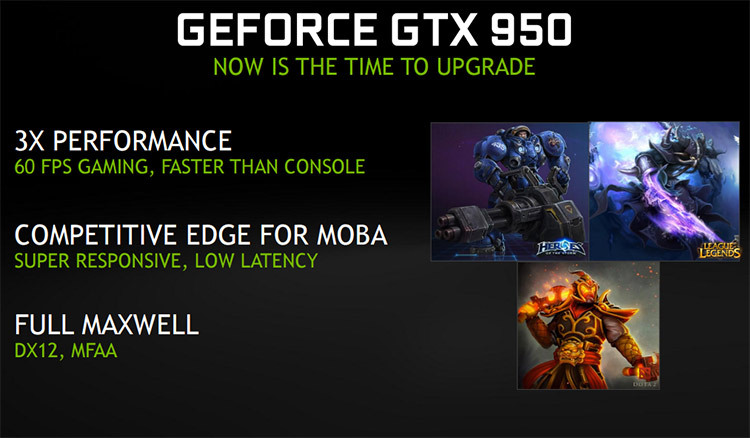 That is expected to change with the GeForce GTX 950 SE which is rumored to launch in March. The GeForce GTX 950 SE might have a few things in common with the GeForce GTX 950 that launched last year but its a new card. The “SE” branding has previously been used by a range of GeForce cards however those are not recent ones. The last cards to use such branding were the GeForce GTX 460 SE and the GTX 560 SE. Both of cards are based on the Fermi architecture and the SE branded cards were cut down variants of the original GPU that featured lower clock speeds, disabled the cores and slashed the memory bus but retailed at a lower price. The GeForce GTX 950 SE could be a similar case but this time the case seems to be an update. The GM206 core at an even lower price and faster performance would seem attractive to many gamers. GM107 doesn’t include most of the features available on the GM206 cores which also comes with better performance per core, leading to better efficiency. Expected specifications of the GTX 950 SE include 640 CUDA cores, 2 GB of GDDR5 memory and the Maxwell infused display capabilities which include HDMI 2.0, Display Port x 3 and a DVI port. The specifications put the card on the same level as the GTX 750 Ti but as previously mentioned, the card has many enhancements from core performance increases to better DirectX 12 / Vulkan support. The GeForce GTX 750 Ti comes with 60W TDP and doesn’t require a connector to power it. The GM206 is a little bit more hungry but the disabled chip on the GTX 950 SE could lead to lower power. The GeForce GTX 950 is already a 90W GPU so the GTX 950 SE could sip between 60-80W which is still a low figure for a 28nm graphics card. With the GTX 950 available currently with a price of $150 US, we could see the GTX 950 SE around a $120-$130 US bracket hence the GTX 750 Ti will either receive a price cut or it will be completely replaced with the GTX 950 SE. AMD on the other hand demonstrated their low-power, 14nm Polaris GPUs against NVIDIA’s Maxwell GTX 950 graphics card at CES 2016. Their chip consumed just 86W, maintaining a 60 FPS on Star Wars Battlefront whereas NVIDIA’s GTX 950 based PC sipped 140W under a similar scenario.NVIDIA made their greatest leap in efficiency with the Maxwell architecture on a 28nm process so it would be surprising to see what the GPU maker can do on their upcoming 16nm FinFET based Pascal architecture.